InforME has worked with nearly every Maine state agency, hundreds of municipalities, and the University of Maine System to build hundreds of eGovernment services, ranging from complex e-commerce applications to simple search services and online forms. Examples of the variety of eGovernment services completed by InforME are provided below. All new InforME services are built using the mobile ready standard templates. InforME has extensive experience with website design for Maine State government. InforME has designed, developed and currently maintains the award-winning Maine.gov portal and has designed hundreds of Maine agency websites. Examples of some of the latest websites completed by InforME are provided below. All State agency websites are now built using the mobile ready standard templates, unless the agency has obtained a waiver from the Office of the CIO. Maine.gov was ranked the best state government portal in the nation in 2004 by the Center for Digital Government, and has been ranked among the top four state portals nearly every year since 2000. The Web Marketing Association has honored Maine's official state Web portal, www.Maine.gov, with a WebAward for Government Standard of Excellence. The Web Marketing Association was founded in 1997 to help set a high standard for Internet marketing and development of the best websites on the World Wide Web. The Web Marketing Association is the producer of the WebAward Competition. 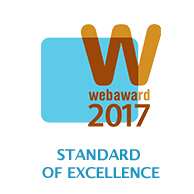 Now in its twentieth year, the WebAward program is the premier annual website award competition that names the best websites in 96 industries while setting the standard of excellence for all website development. Maine.gov has been recognized as a winner in the Annual 2017 Customer Sales and Service World Awards for its Front–Line Customer Service Team. The annual awards program honors a broad spectrum of industry voices, encompassing the best in sales and service, contact center individuals, teams, departments, and achievements. The Maine Bureau of Veterans' Services Website, www.maine.gov/veterans/, has been honored as a top government website receiving an award that recognizes achievements in the fields of both creativity and communications. The website received a Silver Communicator Award of Distinction from the International Academy of Visual Arts. The Communicator Awards are an annual competition honoring the best in advertising, corporate communications, public relations and identity work for print, video, interactive and audio. The awards are judged and overseen by the International Academy of the Visual Arts (IAVA), a 600+ member organization of leading professionals from various disciplines of the visual arts dedicated to embracing progress and the evolving nature of traditional and interactive media. The Maine State Web Portal, www.Maine.gov, has recently been recognized with a Hermes Creative Award for outstanding achievement and service in the field of communication. 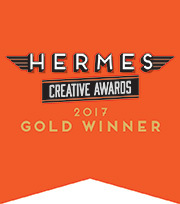 Hermes competition entrants come from a variety of corporate marketing and communication departments, advertising agencies, PR firms, graphic design shops, production companies, web and digital creators and freelancers. Creative award recipients are determined by the Association of Marketing and Communication Professionals; a panel of marketing, communication, advertising, public relations, media production, web and free-lance professionals.